Before Gen started his plucky journey across Japan, Keiji Nakazawa produced an autobiographical work called Ore wa Mita or I Saw It, focusing more specifically on his experiences as a bomb survivor, how it effected his family (particularly in his mother’s death) and how these events lead him to want to produce a longer work about the struggles Japan underwent. 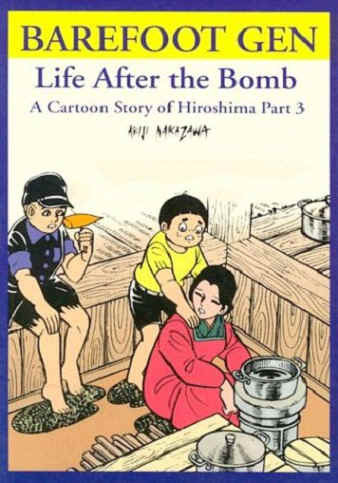 The 48 page one-shot first appeared in 1972 in the magazine Monthly Shōnen Jump, and was published in America by a company called Educomics under the title I Saw It: The Atomic Bombing of Hiroshima: A Survivor’s True Story in 1982. While it is not readily available today in stores, I was able to find a copy easily and for little money on Ebay. This work was the spark that lite the fire for Nakazawa’s masterpiece. 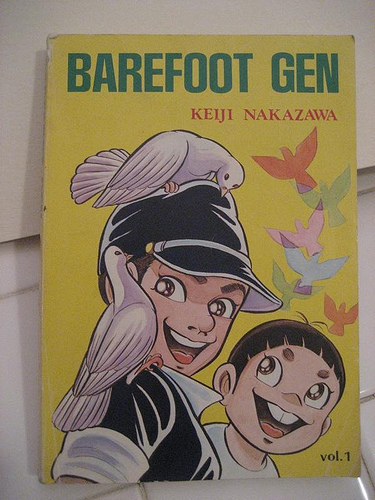 Barefoot Gen, as we know it today, started publishing in Weekly Shonen Jump in 1973, shortly after the original release of “I Saw It”. The series, for whatever reason (wrong demographic? inappropriate subject material for Jump? ), was cancelled after a year & a half, moving between three different magazines (Shimin (Citizen), Bunka Hyōron (Cultural Criticism), and Kyōiku Hyōron (Educational Criticism)). The published works began to be collected in 1975. While BFG may have not been as wildly successful at the time in Japan, the story in America was a bit different. Starting in 1976, as a way to raise awareness about the bombings of Hiroshima and other worldwide disasters, Japanese peace activists began a Transcontinental Walk for Peace and Social Justice. 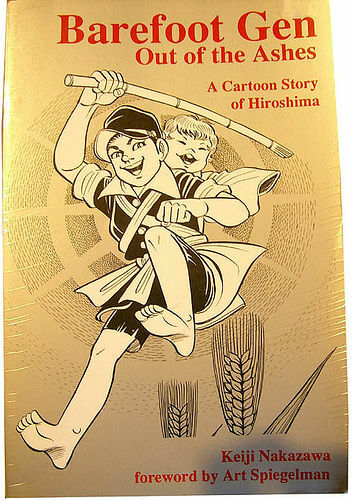 Two activists, Masahiro Oshima and Yukio Aki had a Japanese copy of Barefoot Gen and shared it with those people who were concerned about how the innocent Japanese people were effected, who then urged them to find a way to have this material translated into English. When the two returned to their homes in New York, they created Project Gen, a non-profit, all-volunteer organization that was able to translate the first four volumes into English in the late 1970s. Project Gen has had a number of ups & downs over the years, as well as various incarnations but the project was finally realized in 2000 when a group of nine Japanese volunteers spent three years completing a translation of all ten volumes! 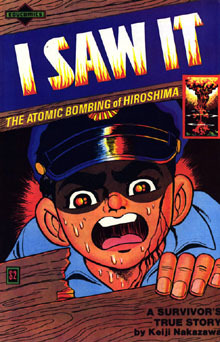 Keiji Nakazawa knew about and was involved in this project and in 2002, introduced the group to Alan Gleason, a member of the first Project Gen who had a relationship with the San Francisco publisher Last Gasp, who took the unabridged translation and republished the material, in its entirety for an American audience. ← Announcing the Next Manga Moveable Feast! Don’t forget the author’s autobiography is also put in English from Rowman & Littlefield Publishers.